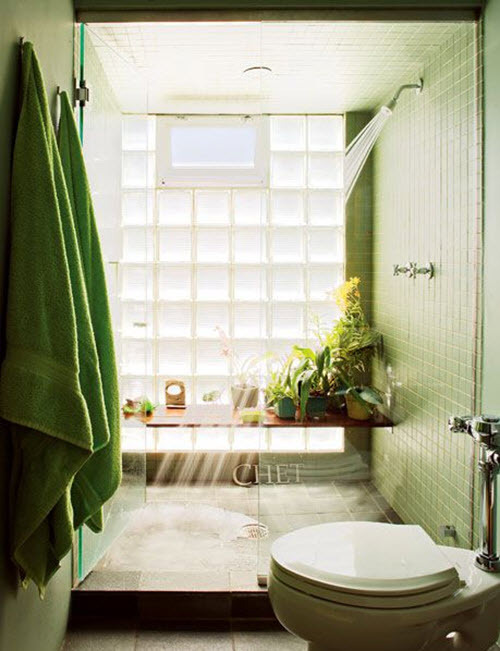 Green is, perhaps, one of the most popular colors for bathroom as it is the color of nature, spring and new life. 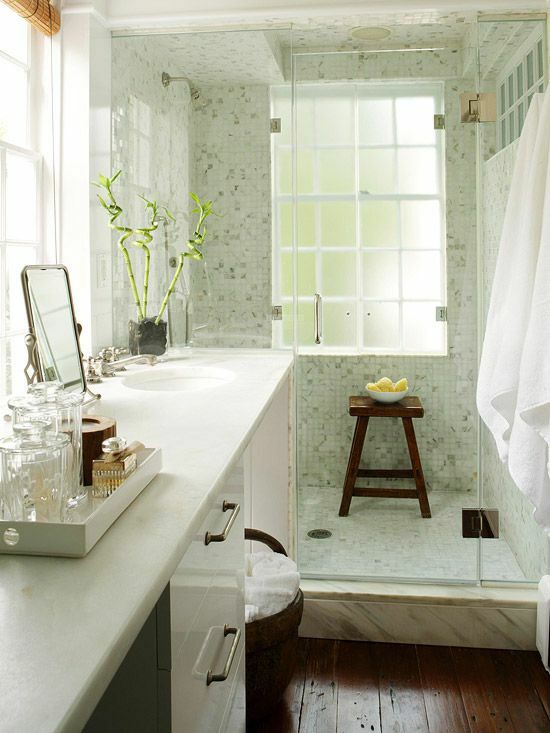 It is fresh, it is beautiful, and it is natural. 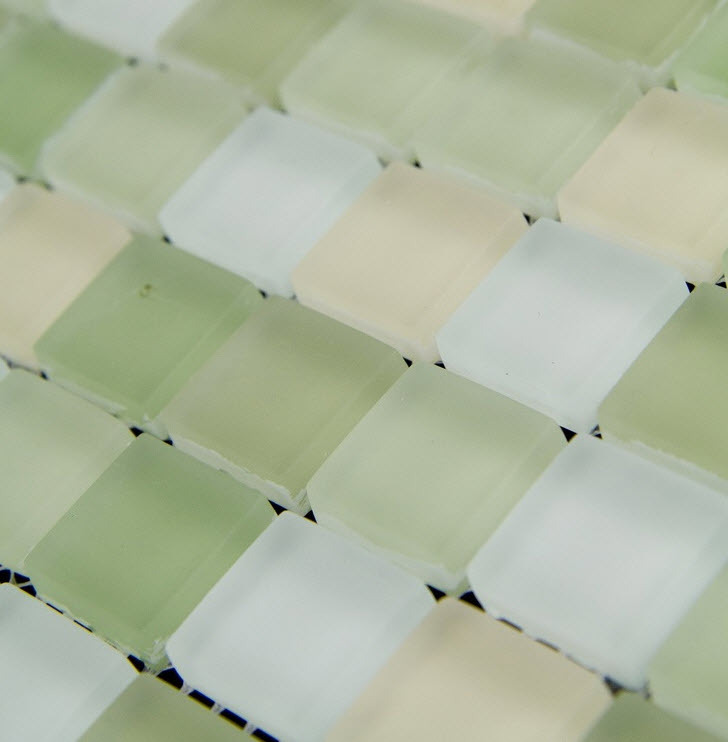 And despite so many shades of green most people instinctively choose the lighter ones. 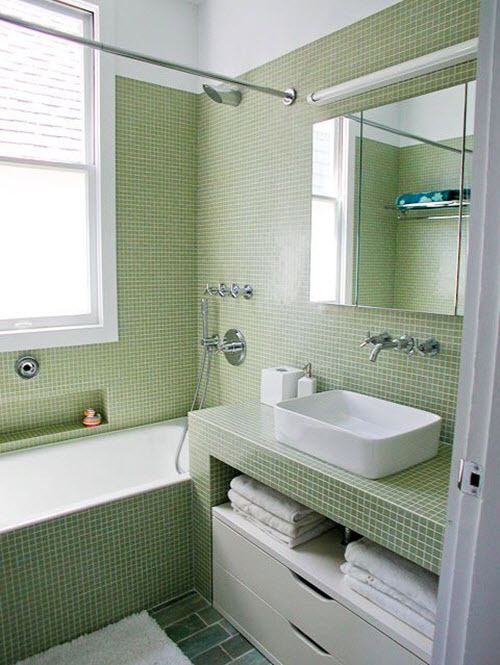 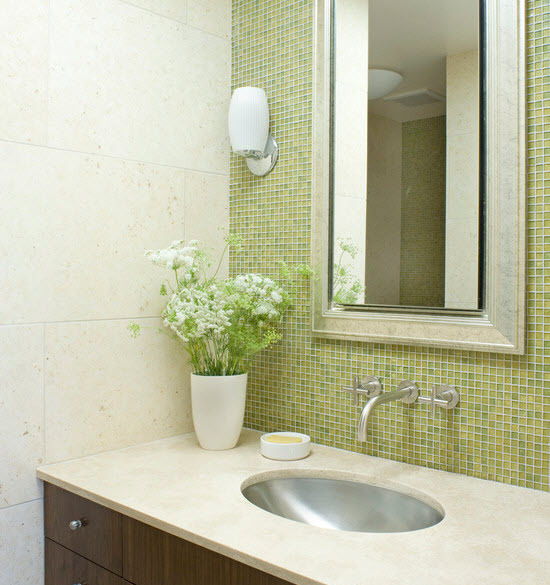 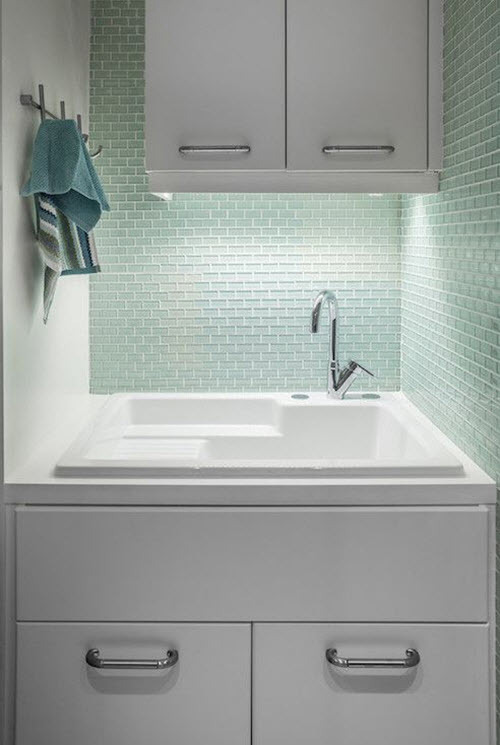 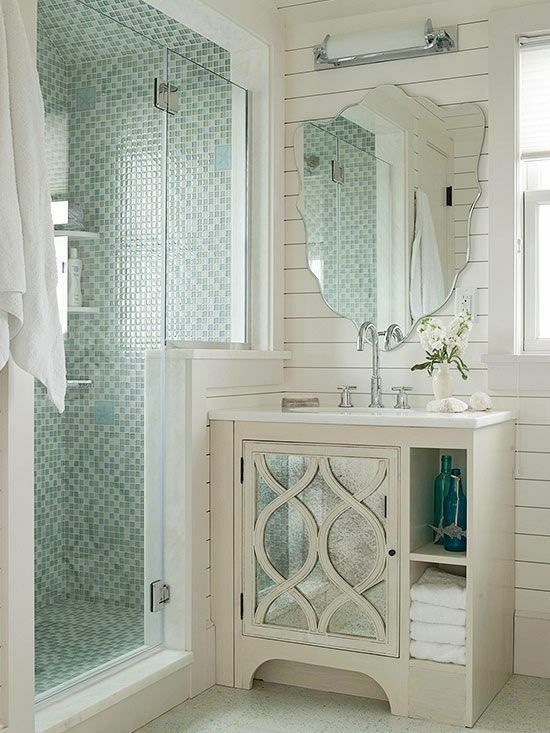 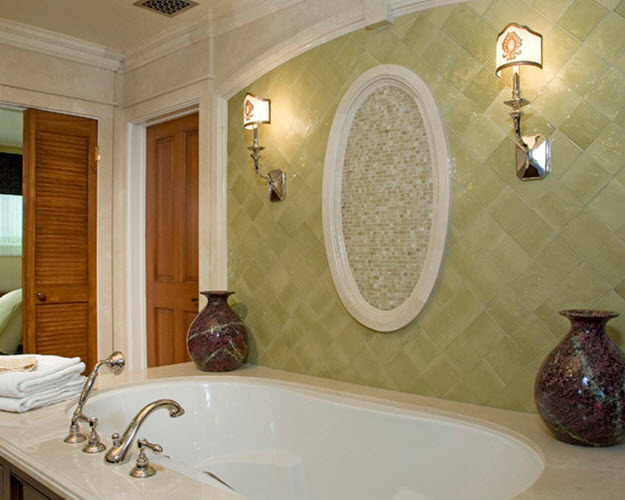 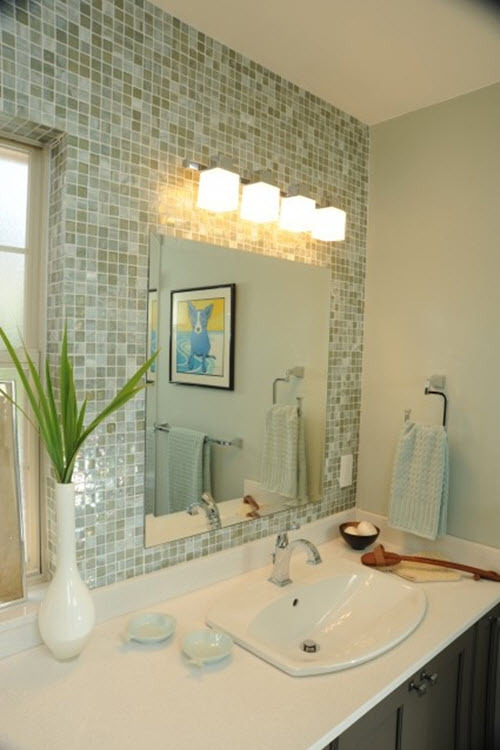 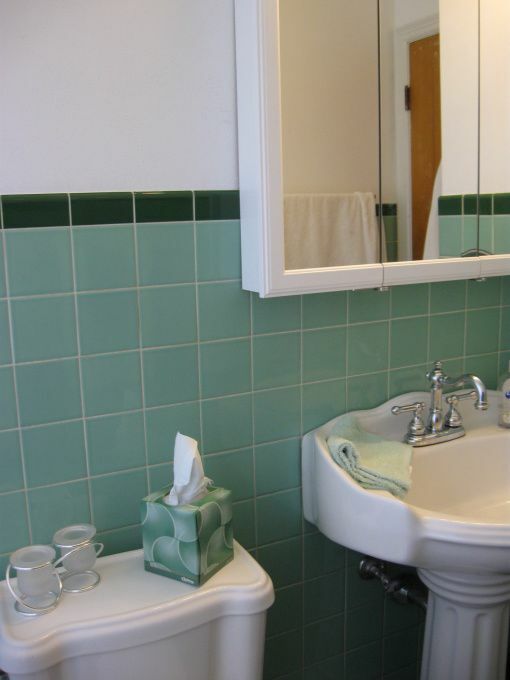 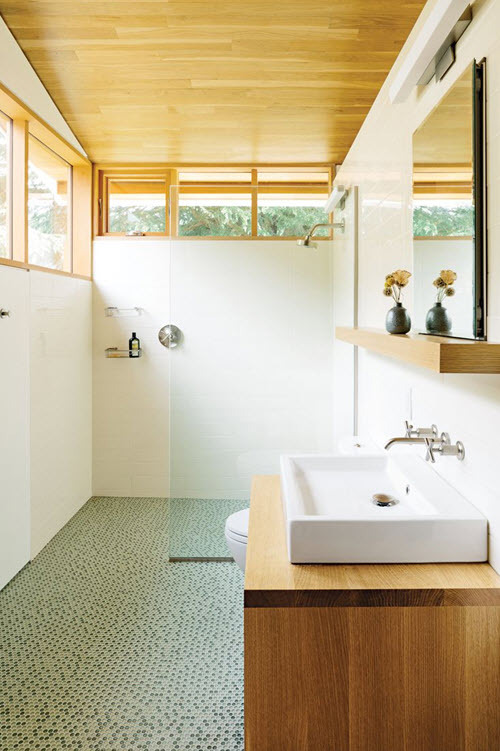 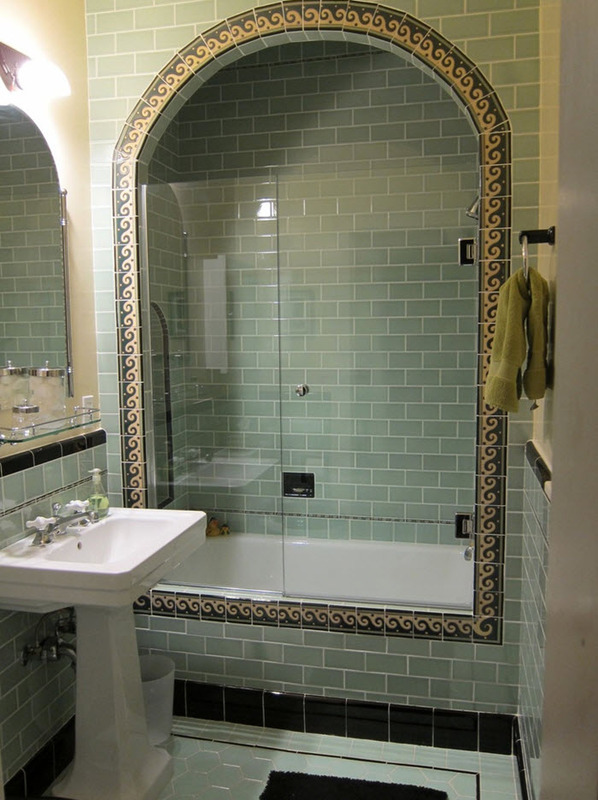 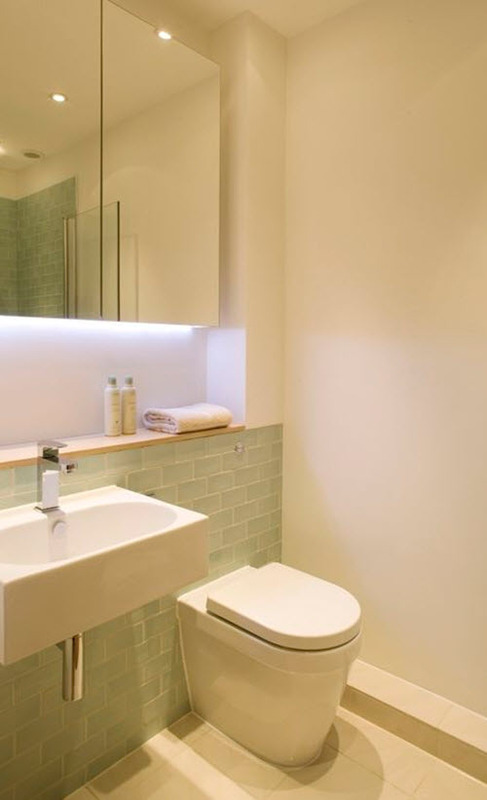 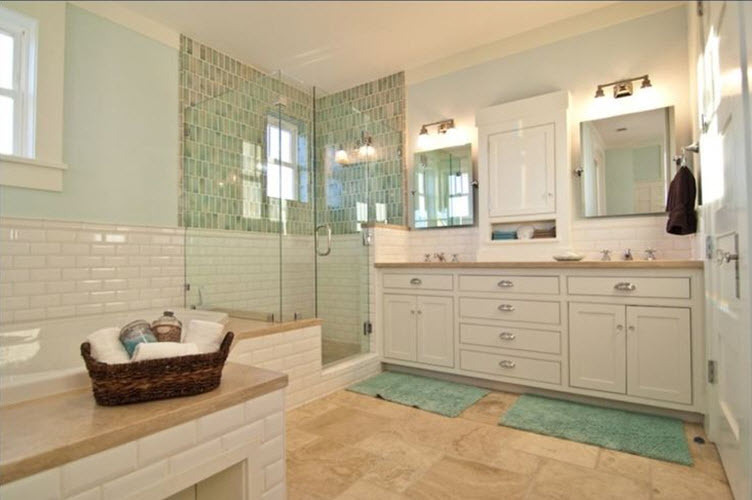 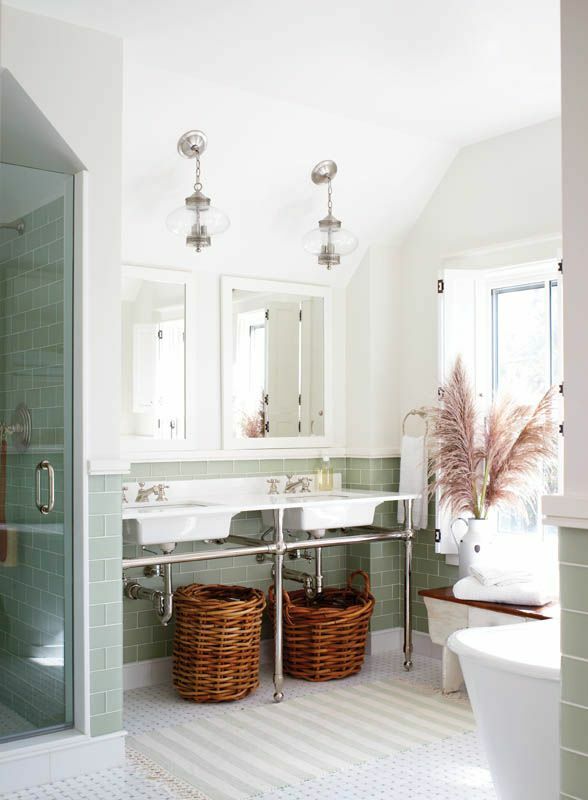 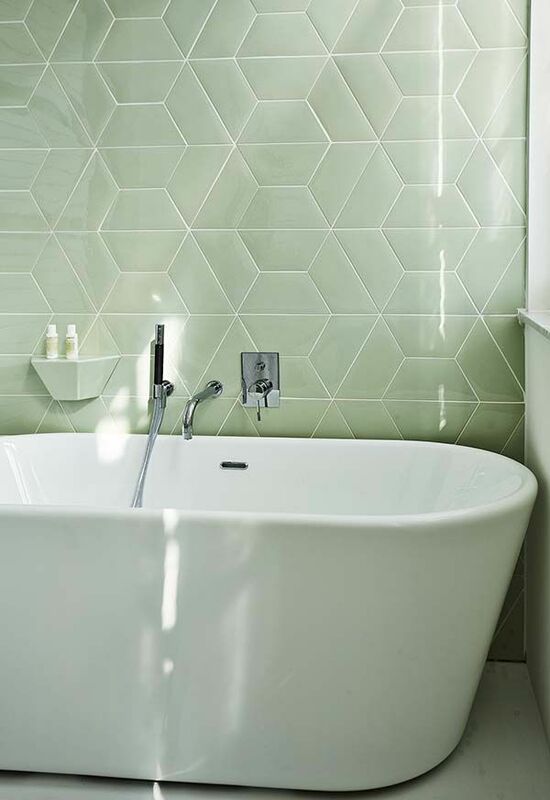 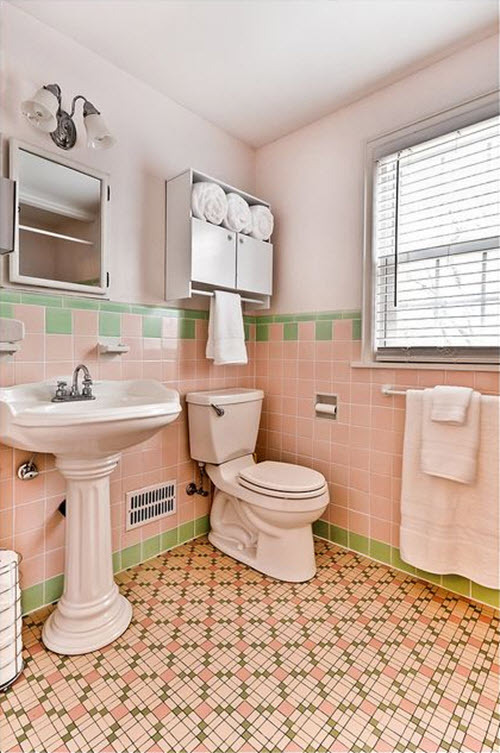 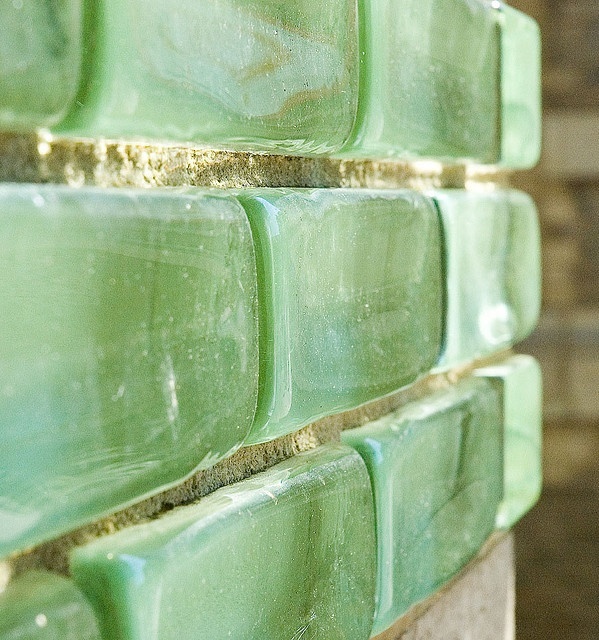 Light green bathroom tile can be rather diverse in terms of shapes, patterns and even shades. 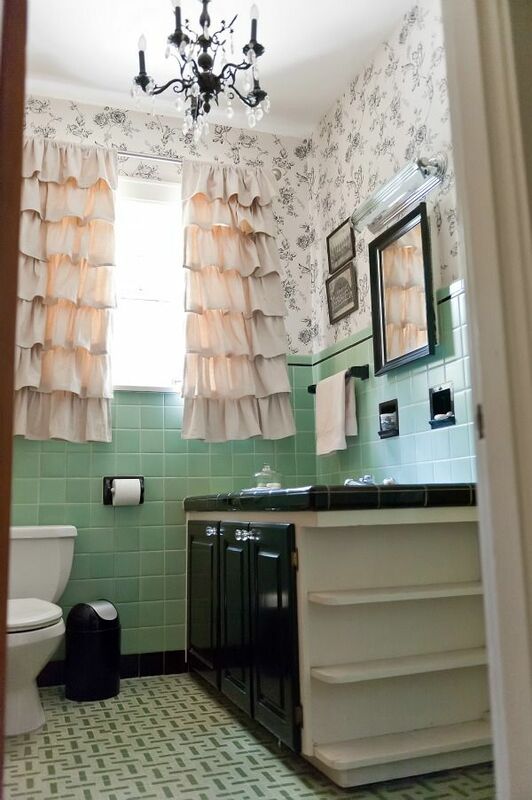 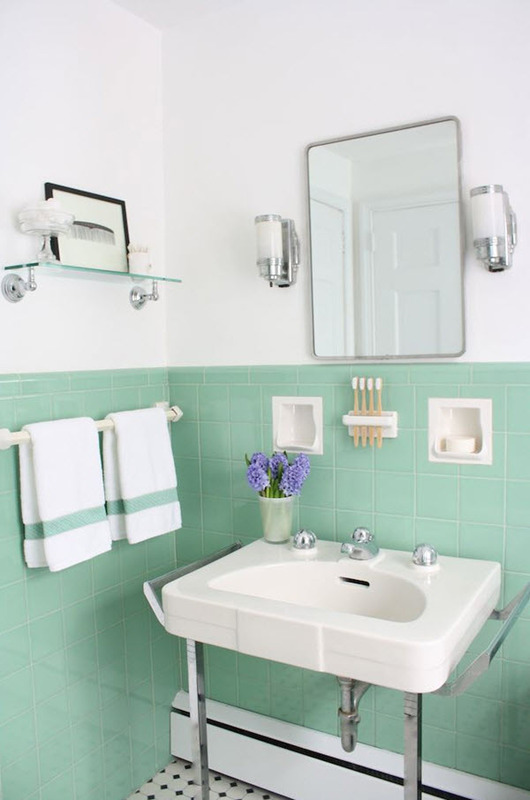 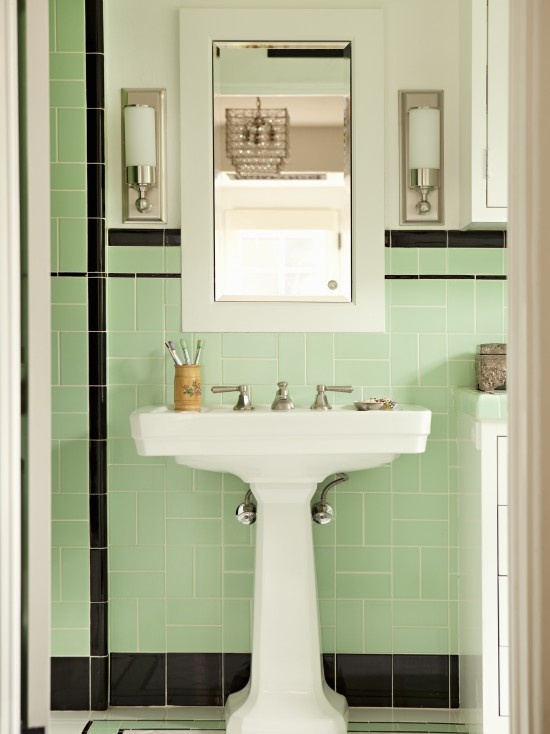 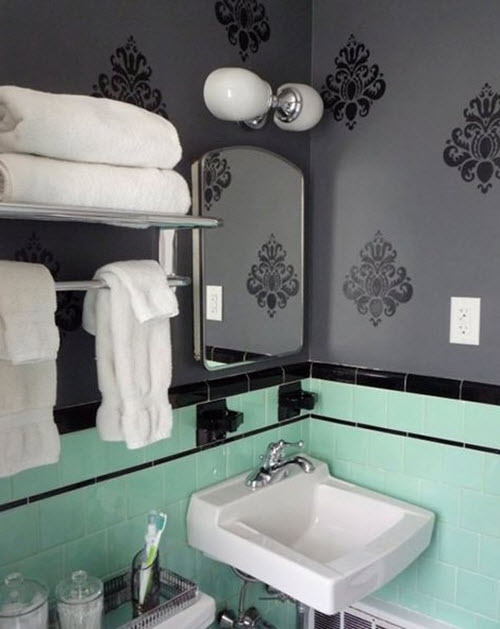 Mint or blue green will fit perfectly the bathroom with vintage twist, especially if it is combined with black or white. 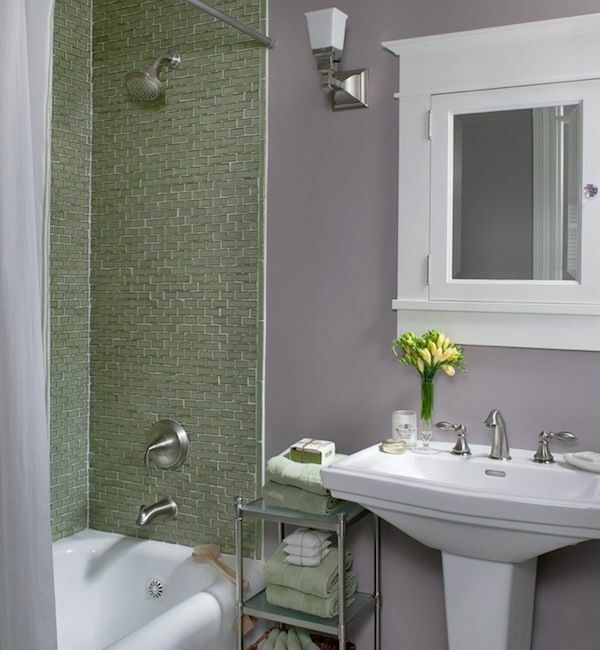 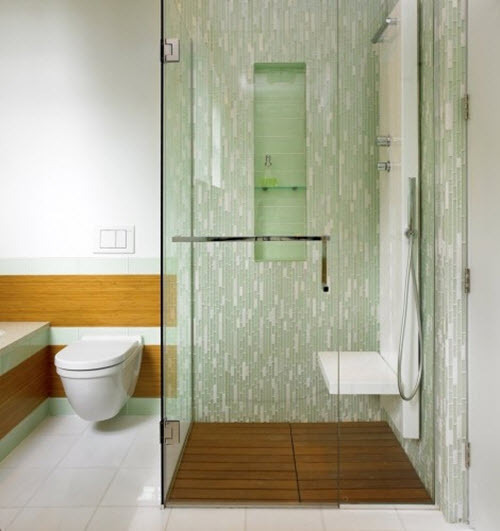 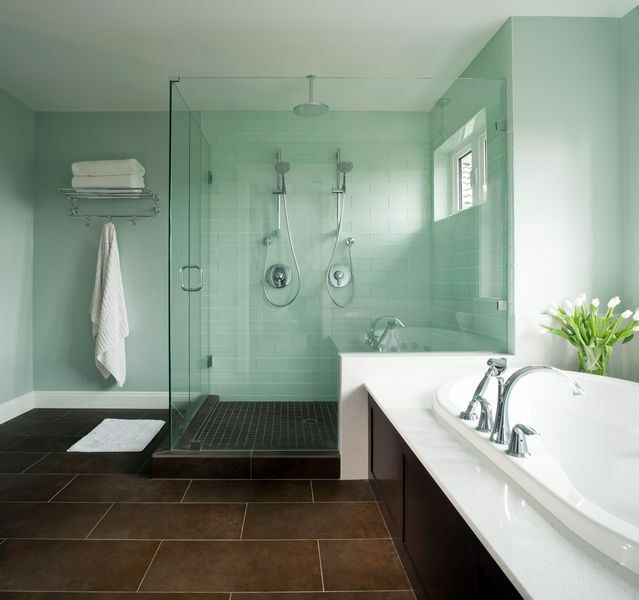 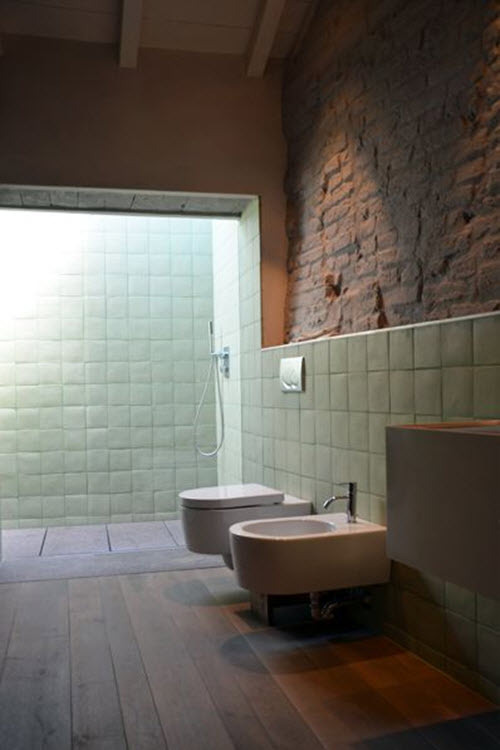 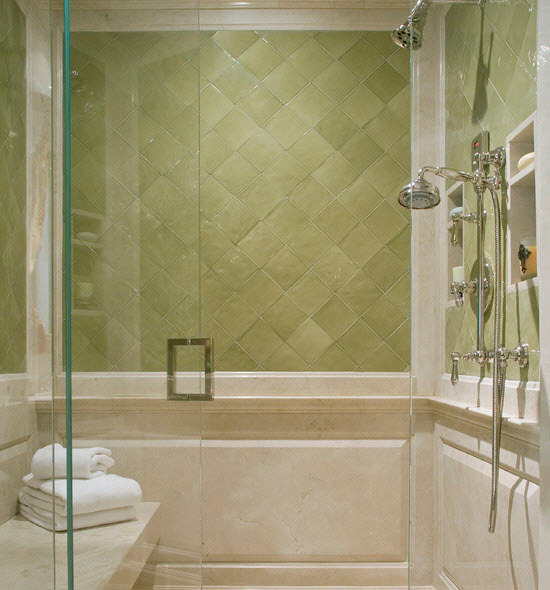 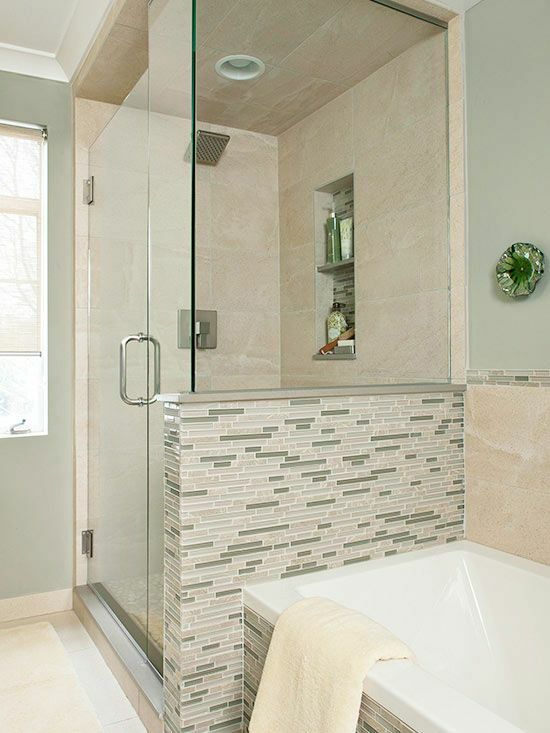 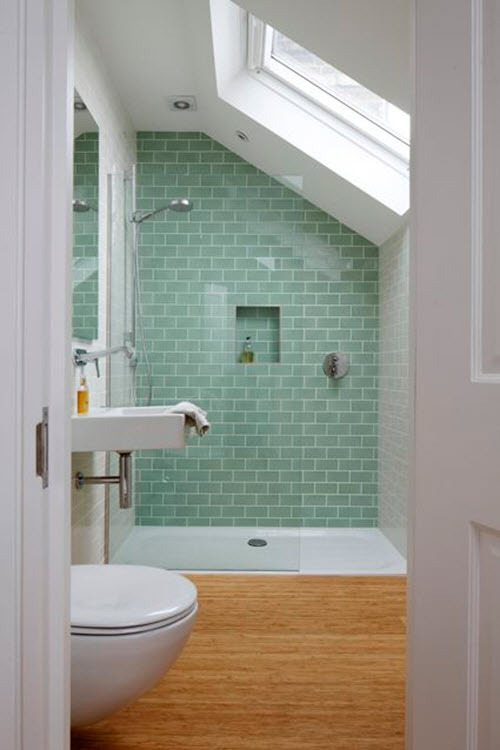 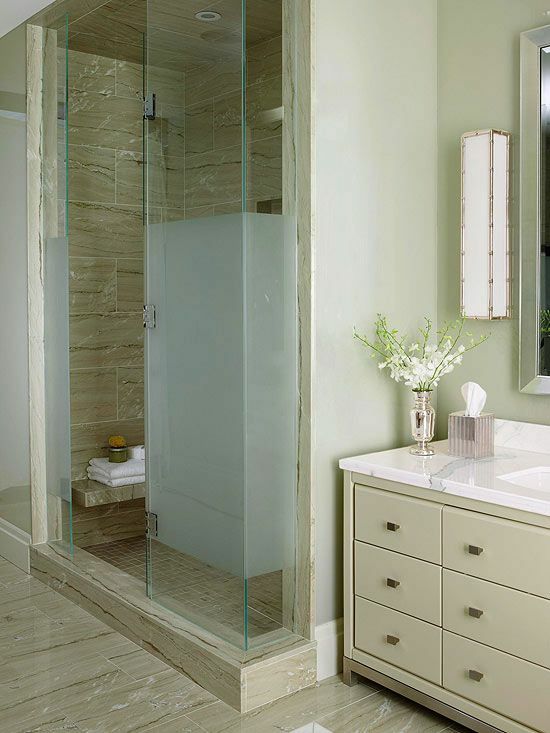 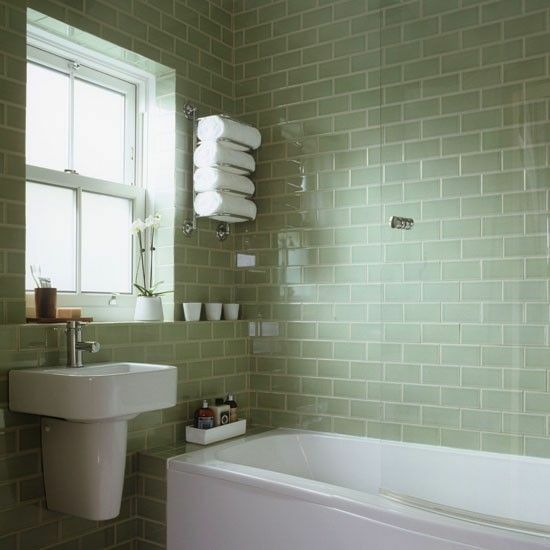 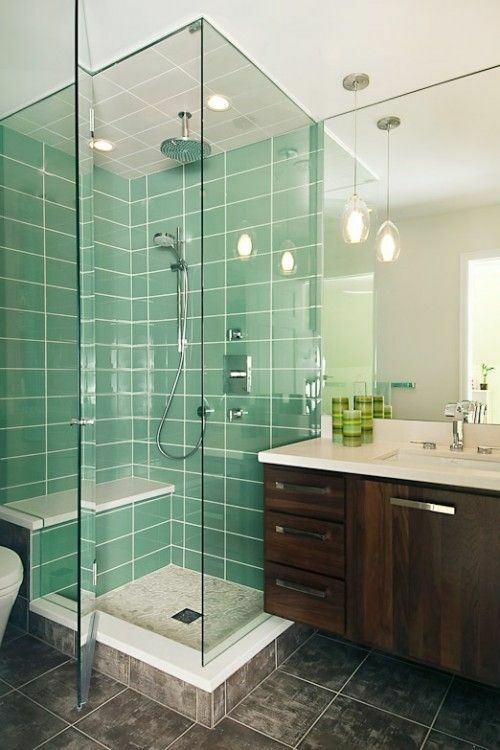 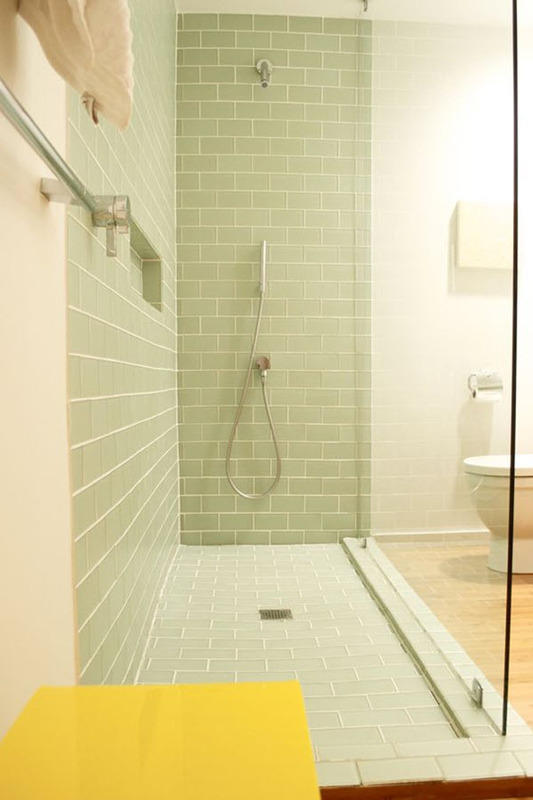 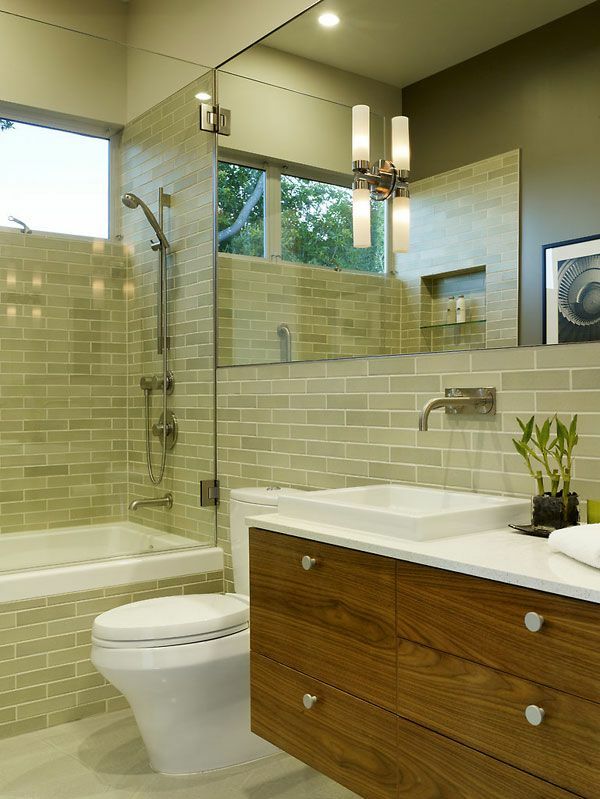 Green is also associated with water so the tiles of lighter shades will suite almost any bathroom. 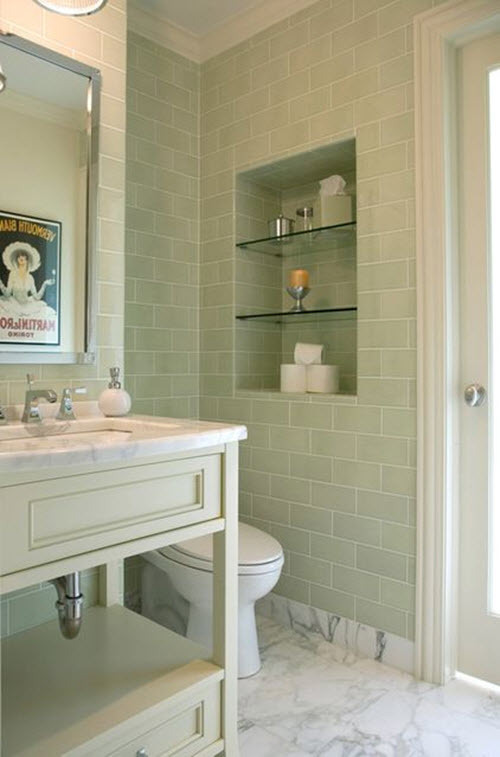 Subway tile looks awesome in light green color in the shower area especially when the other part of the bathroom stays neutral. 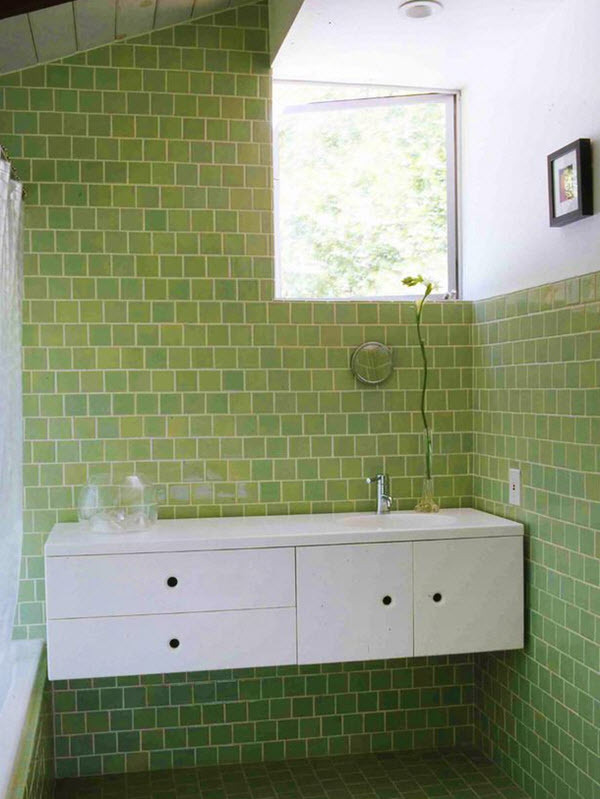 Green tile on one wall or on the floor or as a border will be that pop of color that you’ve always wanted in your bathroom. 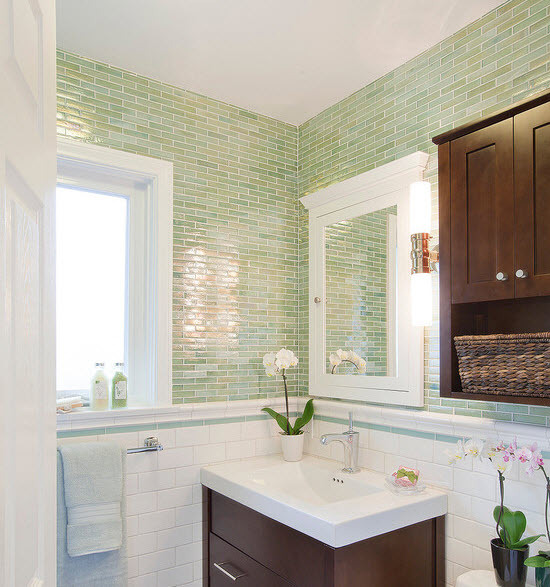 Another good option is to match and combine different shades of green as a mosaics – thus, you’ll be able to make unique pattern and create one-of-a-kind atmosphere. 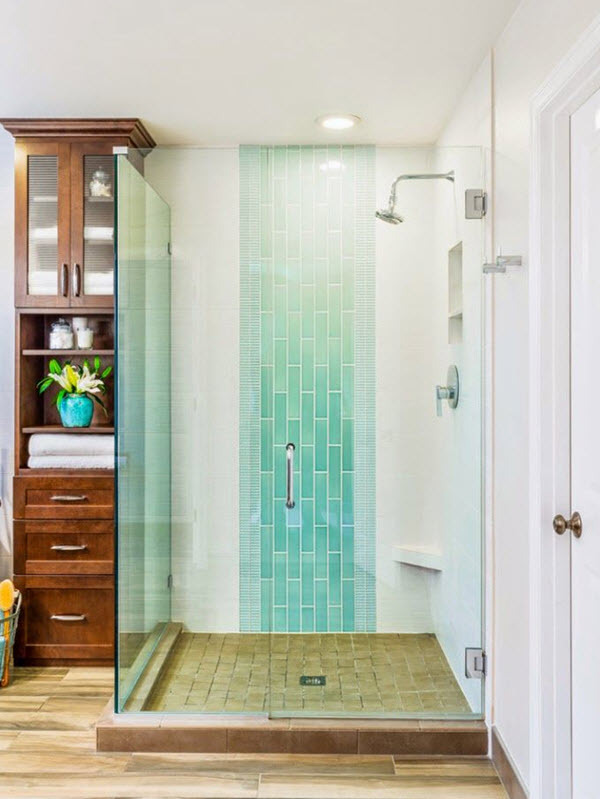 If you need some inspiration we are here to help you with our photo ideas below – look through all of them and tune in to the right wave-length.